Jiffy Steamer makes no compromise in the engineering and construction of its products. The company manufactures steamers you can depend on year after year. If you take a closer look at Jiffy Steamer’s products you will find stainless steel, die-cast aluminum, machined brass, copper, incoloy and silicone braided color-coded wiring-a quality simply not found in competitor’s products. After a 52-step assembly process, every unit is 100% tested before leaving the Jiffy Steamer factory. 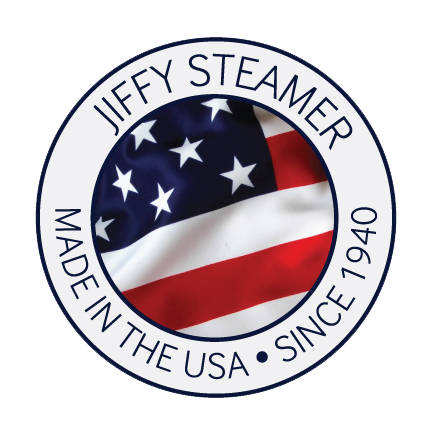 As a testament to uncompromising craftsmanship of products, the Jiffy Steamer family of products is covered by a three-year warranty—an industry-leading standard—a giving customers even more confidence in the quality of everything Jiffy Steamer makes.